FIDM (Fashion Institute of Design and Merchandising) is a private college for students of graphics, interior design, and fashion design and business. The average person may recognize the school from Project Runway. As part of the hoopla surrounding the hundred year anniversary of the sinking of the Titanic — a Gothic celebration if ever there was one — FIDM’s associated museum is throwing a lavish special event. The FIDM shindig, AdDRESSING Titanic: Appearance & Identity in 1912, will focus on the interaction of style and socioeconomic class in 1912. Tickets are still available from the FIDM Museum store. 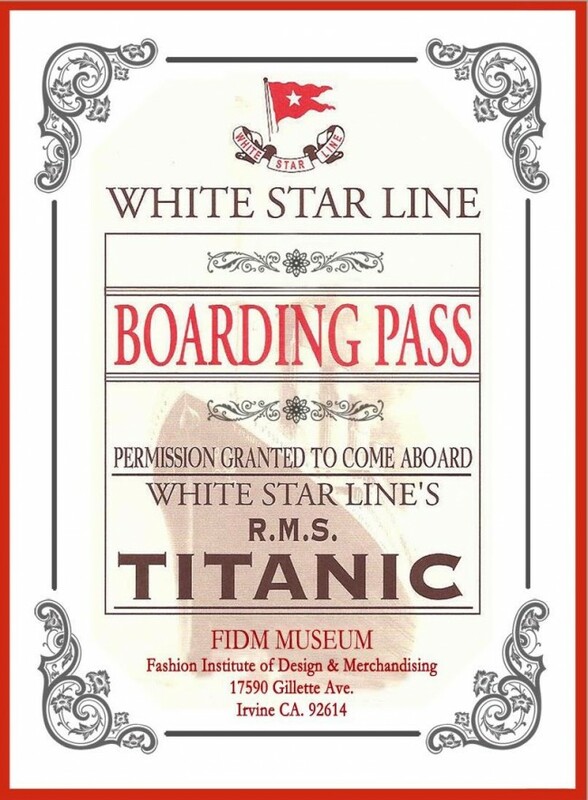 Join FIDM Museum Fashion Council in commemorating the Titanic. 2012 marks the centennial anniversary of the sinking of this luxury oceanliner and we will mark the occasion with AdDRESSING Titanic. The journey will launch with a champagne toast and exquisite sweets and savories. An illustrated lecture by Kevin Jones, FIDM Museum curator, will compare and contrast the sartorial identity of the Titanic’s four categories of travelers: First Class, Second Class, Steerage, and Crew. The journey will conclude with highlights of c. 1912 fashions from the Helen Larson Historic Fashion Collection in the Orange County Campus Museum gallery. Posted by Gothic.org on April 13, 2012. Filed under Events. You can follow any responses to this entry through the RSS 2.0. Both comments and pings are currently closed.